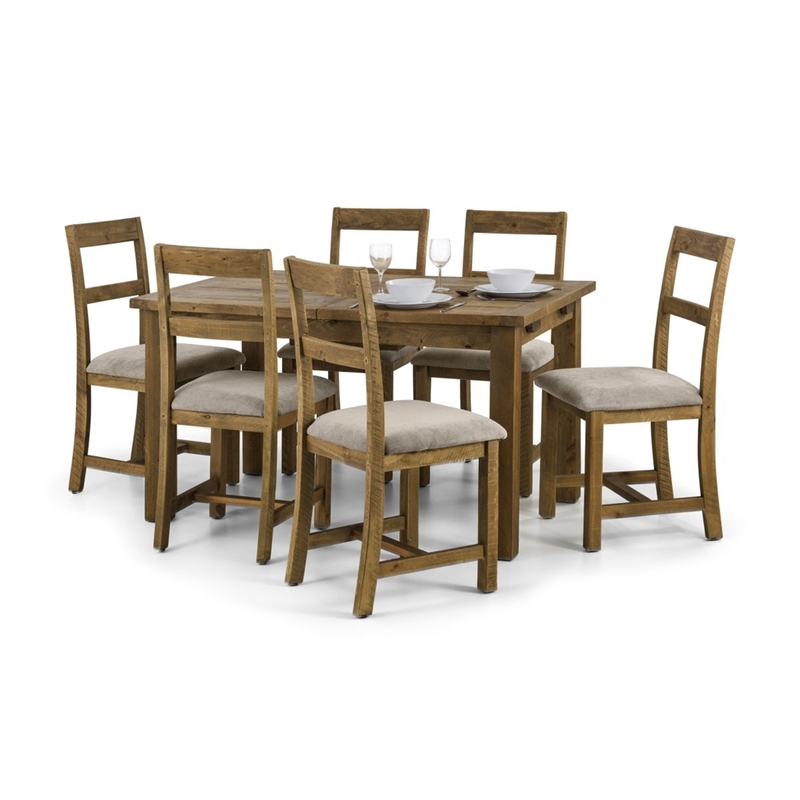 This set includes a Rustic Reclaimed Pine Extending Dining Table and 6 Rustic Reclaimed Pine and Mink Chenille Seat Dining Chairs. It is a beautiful piece of furniture, looking perfect in a traditional or modern home. The table features a 40cm butterfly extension system which is stored within the table when not in use, and a solid 40mm thick top. 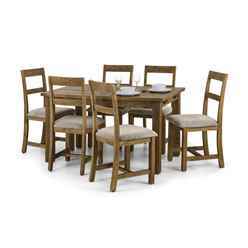 The dining chairs have a mink chenille padded seat and two panels on the seat back. The rustic and vintage look is enhanced by nail holes and saw marks, also making each piece unique.